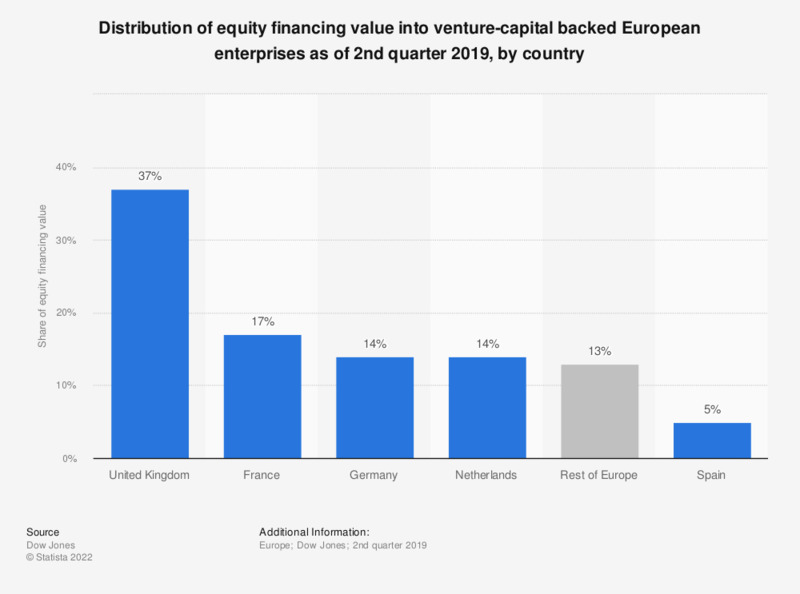 This statistic illustrates the distribution of equity financing value for Europe-based venture capital-backed enterprises as of the second quarter of 2018, broken down by country. It can be seen that 37 percent of all equity financing value for venture-backed companies was invested in the United Kingdom (UK) during that period. A further 18 percent of total equity financing value was invested in France during the second quarter of 2018.